Now on to Battambang, in the West of Cambodia. 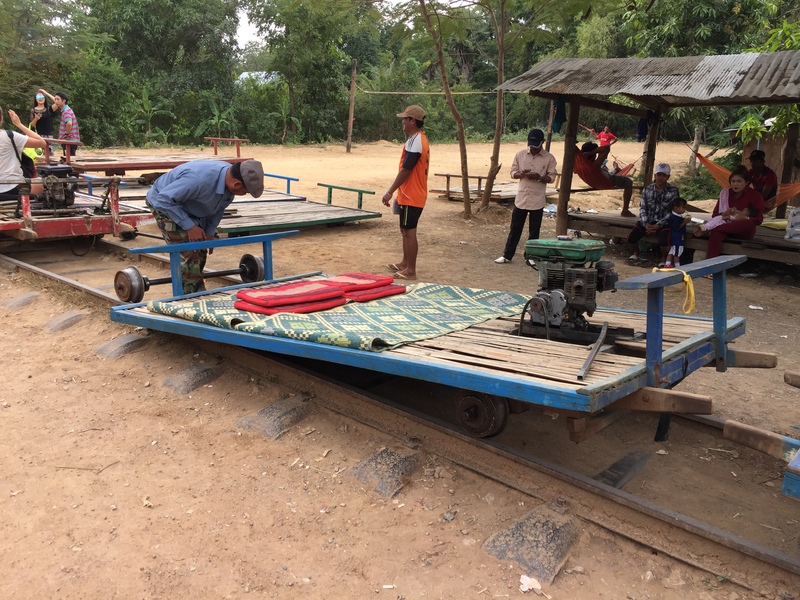 This is the famous bamboo train, which was built after the devastating Khmer Rouge rule, to cope with lacklustre infrastructure. The idea is that only one track is needed – the bamboo carts are light enough that they can be simply picked up and taken off their axels to clear the track for an oncoming train.